Another week, another giant leap forward. This past weekend Modern was showcased at the SCG Open Series in Cincinnati. This is very timely since this weekend is an even bigger Modern event in Grand Prix Oklahoma City. You would think that players looking for an edge would be pouring over the results looking for new tech and information. While I normally leave the trend analyzing and event reviews to other community writers, focusing instead on opinion pieces or in-depth deck analysis, I haven’t been hearing much discussion about GP Oklahoma City or Modern recently. Everywhere I turn people are blathering on and on about Eldrazi, when we aren’t even living in their shadow yet. Nobody is looking at the significance of Cincinnati (the event, not the city) or what it means for GP Oklahoma City. It’s like they don’t care about Modern, and frankly, I find their lack of faith disturbing. So let’s get to it, shall we? Currently, we are in the middle of the Modern “offseason” between Grand Prix Charlotte/Copenhagen/Singapore back in June (the end of the previous season), the Modern PPTQ’s, and Pro Tour Oath of the Gatewatch in February 2016 (and the beginning of a new season). In between, we have a few high profile events that will serve to guide the metagame; the dual SCG Open weekends in Charlotte and Cincinnati, the upcoming Grand Prix Pittsburgh in November, and the SCG Invitational in December (Standard/Modern). This means we are looking at an environment where we get one week of high profile results a month, supported by a lot of “under the surface data” in the form of MTGO Daily and SCG Premier IQ results. Conditions like this normally lead to one of two results: slow, gradual changes to a format that happen naturally over time or surprise results where a deck comes seemingly out of nowhere to capitalize on positioning for a weekend or spikes an event. Case in point: Grishoalbrand at GP Charlotte. So what can we learn from offseason results? Besides analyzing metagame information and trendspotting, we can normally comb through decklists to find a few gems. It’s a thankless job, digging through IQ Top 8 sideboards in search of tech, but valuable nonetheless. Plus, I did it already so you don’t have to! Well isn’t that interesting. Zero, count them, zero Grixis Control decks in the Top 32 of SCG Cincinnati. Grixis Twin, while an entirely different strategy, also only placed two copies into the Top 32, with one list taking 11th and the other taking 25th. Seeing these results makes me immediately stand up and take notice, as there has to be something going on to explain a complete lack of a tier 1 archetype in the Top 32 of an event. While the 1st and 2nd place Infect lists are great matchups for Grixis Control, literally every other matchup in the Top 32 is an unfavorable one for Grixis (by my count, seven lists are favorable matchups: Twin, U/W Control, Infect, and Slivers). This suggests a field that is hateful or at least prepared for Grixis Control. Multiple copies of Relic of Progenitus in each of the Top 4 lists reinforces this idea and goes a long way towards explaining Grixis’ absence. This also suggests an explanation for Infect’s strong showing. The two copies to make Top 32 were able to dominate the field of decks attempting to prey on Grixis Control. Therefore they were able to capitalize on the absence of a poor matchup and they ran the tables all the way to a double showing in the finals. What’s the Deal with UW Control? When Affinity is cutting Galvanic Blast for Thoughtcast, when Grixis Control is the boogeyman, when decks can get away with four or sometimes less removal spells maindeck, Infect will always, always, show up to stomp the unwary into the ground. Focused more on the environment than deck composition, Infect lists look relatively similar week-to-week, often with only slight differences in the board to account for current metagames. A strong, but not necessarily resilient strategy, Infect has proven that it can’t survive under dedicated hate. Therefore I expect that we won’t see another week of two copies in the finals of an event for some time. Infect is not a flash in the pan and will still be strong unless the format expects it, but I expect its performance to wane as the community diversifies their board to include tools to fight it and, simultaneously, lessen the hate against Grixis Control. I know there will be pitchforks if I pass by Slivers, so…SLIVERS! There, are we good now? Slivers is, in my mind, part Naya Company, part Merfolk, and part Affinity in both strategy and execution. Its Collected Companys are simultaneously individually weaker and more explosive/synergistic than Naya’s, while it can quickly spiral out of control if opponents let it build up a board state a la Merfolk. In addition, Slivers functions similar to Affinity in that it can apply quick pressure and can’t afford to dedicate much room to interaction with the opponent. This makes it a poor choice against fast combo (like Living End and Amulet Bloom) and simultaneously a poor choice against removal heavy lists (Grixis Control, anything with Supreme Verdict) but man does it crush decks like Jund and Abzan. While I am excited that Slivers was able to Vapor Snag a Top 8, my rational side knows that this was due to the same conditions that allowed Infect to dominate the event. I’m sure we could pin down a metagame where Slivers is a good choice but Infect and Merfolk are not, but I’ll leave that one to the dreamers. Be vigilant! While I’m sure Brimaz, King of Ereskos would agree with me, the fact remains that SCG Cincinnati’s results should not surprise us if we’re paying attention (and I’m sure it didn’t surprise Todd Anderson). He correctly anticipated a field hateful towards Grixis Control, and took advantage of the lack of a bad matchup and proper positioning against the rest of the field to catapult himself to a win. Leading up to SCG Cincinnati, Grixis Control had been putting up consistent results, was the talk of pretty much everyone (myself included) and was slowly warping the format around itself. 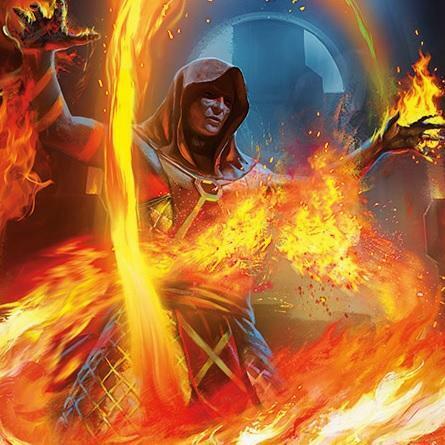 Todd correctly jumped on the flash point, when the hate became too strong and Grixis in its current form wouldn’t be able to survive, and took a weekend by storm with a deck that nobody was prepared to beat. This story repeats itself week after week; sometimes the best deck for the weekend hits some bad draws/matchups and doesn’t make Day 2 and we see Random Joe take home the trophy, but other times correct analysis, proper deck choice/construction, and tight play run the tables and take home the trophy. Which one are you going to be? Thanks for reading! I hope you enjoyed my article, if you have any thoughts/opinions, feel free to let me know in the comments! I’m always looking to improve my writing and I welcome any conversation about my analysis/writing style/witty humor. As always, if you’d like to see any of these decks in action feel free to stop by my stream at twitch.tv/Architect_Gaming! Follow me on Twitter for updates, and I’ll see you there! I really loved the slivers deck. Sad it didn’t get to win against Infect. 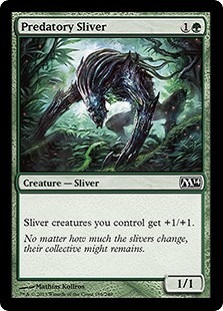 I hope Brimaz will go down with the rotation, because I really think he’s a good one for modern and I’ll buy some then. The top two Jund lists maindecked Abbot of Keral Keep. On the back of Joe Herrera’s list it seems to be gaining momentum as a modern card. Also note junk than Jund. It’s this due to the grixis control Matchup and the better threats in junk? Jund has an even matchup against Grixis. Abzan on the other hand smashes Grixis and Jund for that matter. If you expect a field heavy on those two decks Abzan will serve you well. You are still playing a BG/x deck in the end so it’s not like you are playing a meta deck that has no chance against other random decks. As people in my local community always say, meta is very awkward to new things so yeah, if they come unprepared, it can be easy win for rogue decks like infect, slivers and merfolks. Do you think meta calling in modern is more important than being proficient with a deck you have played for a long time and are well versed with? History has shown us (history is really nice about showing us things) that Modern rewards great knowledge and familiarity with an archetype. For example: Sam Pardee with Pod (and now Twin), Shaun McLaren with UR/x decks, and others. Because Modern a very complex format, with a lot of decks and complicated lines, understanding how your deck functions and being prepared for proper sideboarding/role switching is really important. Metagame calling is a great tool as well, and plays an important role in sideboard construction/deck choice, but unless the format has shifted to a point where things look very polarized (Ramp is dominating, too much midrange, etc) you can be confident that great deck knowledge will aid you in an event/season more than constantly switching decks will. There is a spectrum to this however; if all you know is Grixis Control and everyone is gunning for Grixis, you will be disadvantaged when running headfirst into a hostile field. So, practice a deck, master its intricacies, but be prepared to audible if necessary. Hey Trevor love the stream and love the insight, I’ve been thinking about UW control alot lately, played it a FNM, and really like the play style, you thinking of ever streaming the deck anytime soon? Just leaving my 2 cents cause I didn’t know it helped support u until now. It needs to be said that there is no way the manabase for that slivers deck is correct. I was testing it the other day and died multiple times with white spells in hand after cracking a windswept heath. If the mana base gets smoothed out, I think the deck can do some powerful things. Necrotic sliver in particular is a real standout in my eyes turning your less good slivers into vindicates.